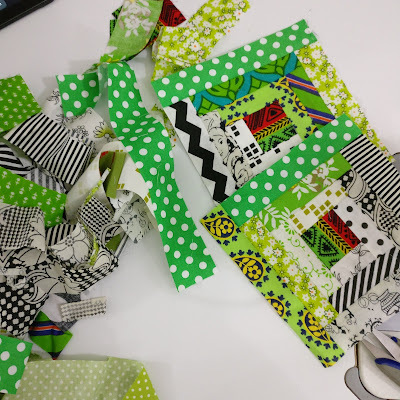 Hello and welcome to Handmade Happiness Link up Party. 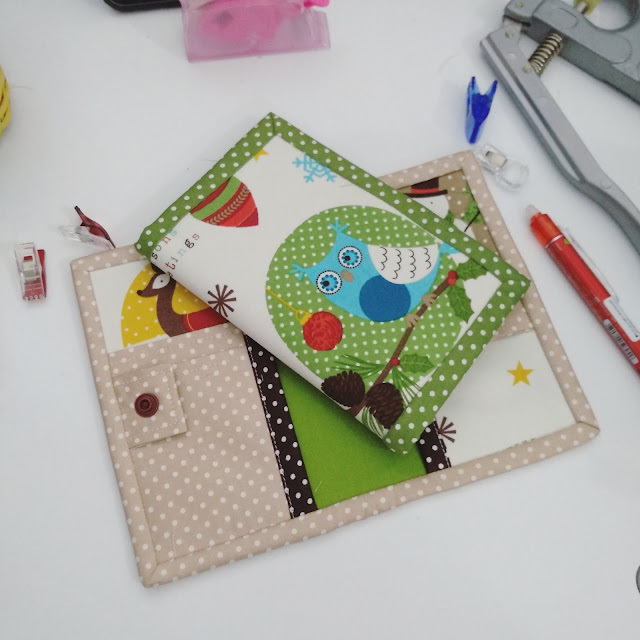 In my first post of Handmade Happiness, the idea was to share some handmade items that are made using my pattern to give the maker more exposure. However I feel it was too limited. Hence the change of plan, which I hope will be able to give fellow crafters in India and worldwide a wider exposure. Especially one who just dip their toes in the world of mompreneur. Let me start with what I've been up to the last couple of days. I'am excited with my new passport cover which I shared last week and on Sunday, when the boys were busy watching IPL (that's an Indian cricket league), I have plenty of time to play. I found the Christmas owl in while I was sorting out my scrap boxes and thought of making a mug rug or maybe another cushion covers. The prints are quite big and of different sizes. So I decided to make the wallet instead. 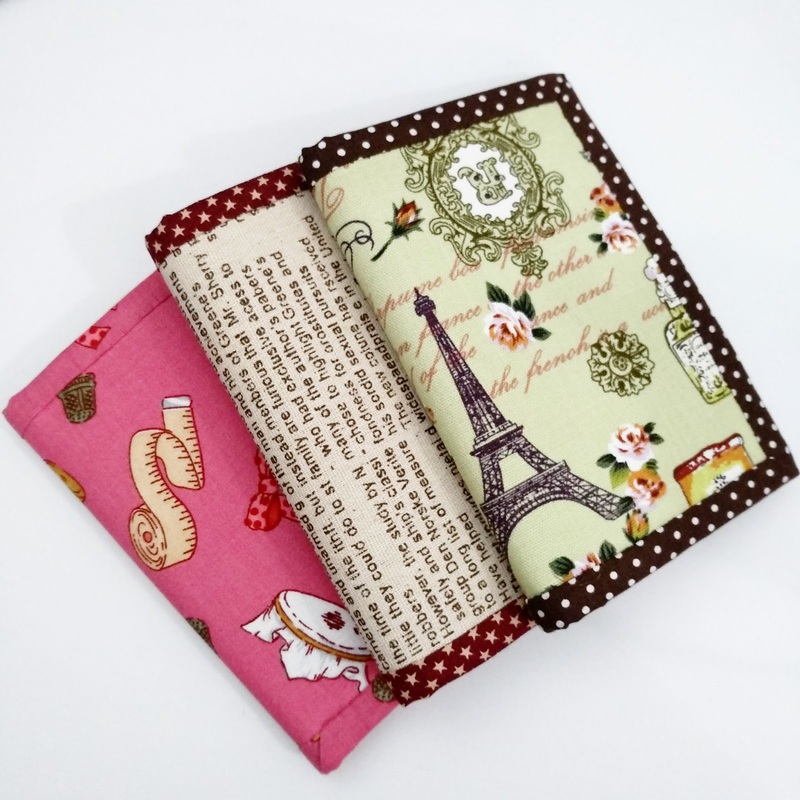 The previous day, I made those 3 wallets with fun prints - sewing notions, newspaper print and Eiffel Tower. Sorting out fabrics always a great motivator for me. Well, it also brings surprises to see fabrics which I forgot I have LOL. Those wallets will be up in my Etsy and Webshop as soon as I finished editing them. 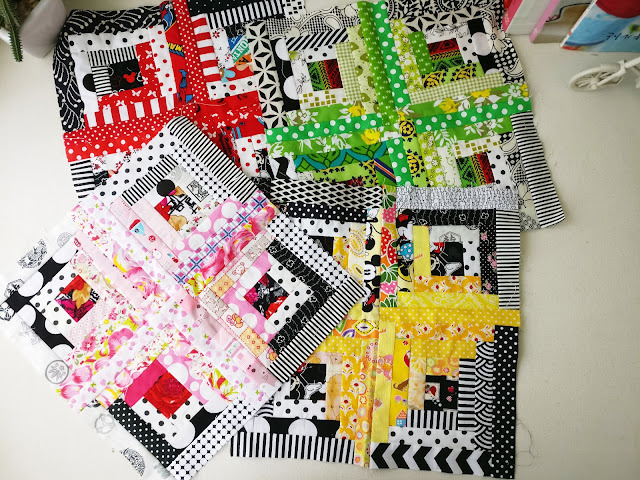 On a quilting side, I made the 4th block of the scrappy log cabin project I started a few weeks ago. This time, I make a little prep work (yay for me!). Cutting the green and black & white scraps into 1.5" wide strips before I started sewing. I need to really make an effort to do prep work! That's all from me, now it's your turn to link up. Thank you sharing your lovely works!